Rodney, originally from Prince Albert, SK, started with classical violin lessons at the age of 8 and has been competing and performing in old time fiddling since the age of 11. He is a five time Grand Saskatchewan Fiddle Champion. 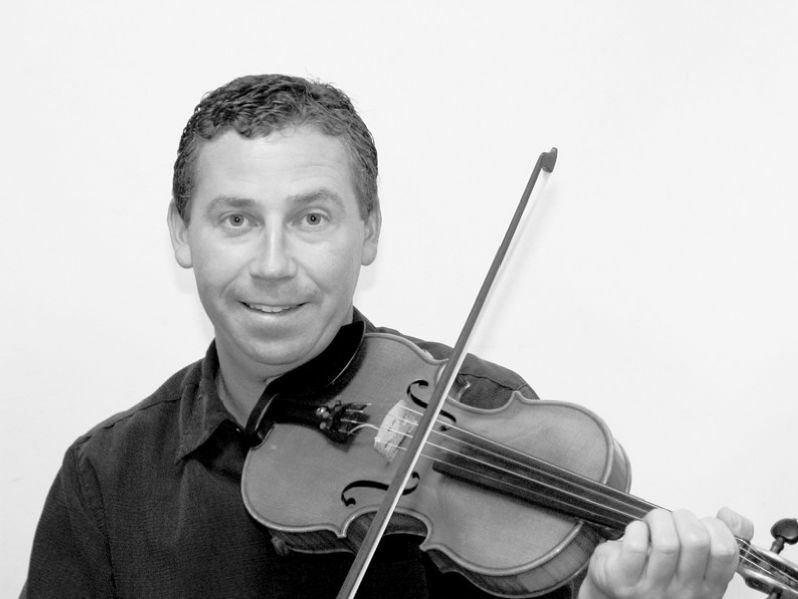 Rodney has been selected as the Saskatchewan representative at the prestigious Canadian Grand Masters Fiddling Championship in Nepean, ON, was a judge at this event in 1996 and 2008. He has entertained at various events across Canada, Australia, Canary Islands, Spain and the U.S.A. Rodney served as a troupe fiddler with the Saskatchewan French Canadian dance troupes"La Ribambelle" and "Les Danseurs de La Rivière La Veille". He belongs to the fiddle/piano trio "The Cleavers"and has performed on their three albums. With the trio, he has performed throughout western Canada at numerous contests, travelled to the Canary Islands of Spain, and has been involved with various fiddle camps in the northern United States and Western Canada. Rodney now resides in Saskatoon (SK) with his wife Rebecca, son Reese, and daughter Bree. He is currently employed as a sales representative for the fertilizer division of Koch Industries. Tyler began taking lessons at the age of four, and entered his first contest at the age of eight. He earned the title of Provincial Grand Saskatchewan Champion three times in 1994, 1995, and 1998. He won the Championship Class in fiddle contests in other such places as Kamloops (BC), Canwood (SK), Prince Albert (SK), and Prince George (BC). He represented Saskatchewan at the Canadian Grand Masters Fiddling Championship in Nepean from 1993 to 1999, and placed in the top 11 in four of those years. 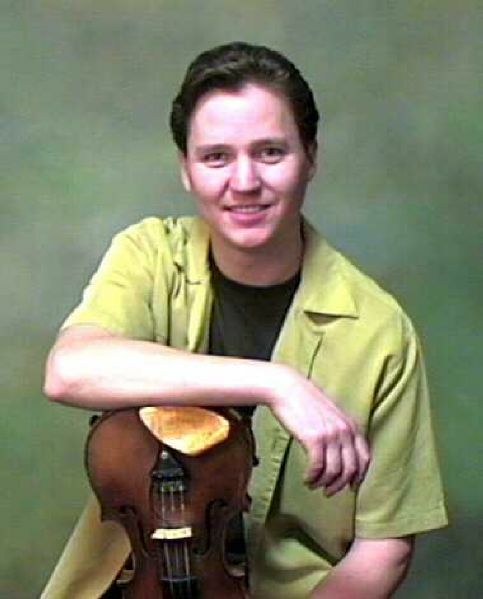 He also placed in the top 10 at the 1995 and 1996 Pembroke (ON) Fiddle Championship. He has actively judged fiddle contests across Western Canada since 1994. Some of these include Carman (MB), Miami (MB), Prince Albert (SK), Kelowna (BC), the BC Provincial Fiddling Championships (Kelowna 1997), and more recently at the Grand North American Fiddle Championships held in the summer of 2003 at Wabamun (AB). He belongs to the fiddle/piano trio "The Cleavers"and has performed on their three albums. With the trio, he has performed throughout Western Canada at numerous contests, travelled to the Canary Islands of Spain, and has been involved with various fiddle camps in the northern United States and Western Canada. Tyler served a troupe fiddler with the Saskatchewan French Canadian dance troupes "La Ribambelle" and "Les Danseurs de La Rivière La Veille". Tyler currently resides in Calgary (AB) with his wife Diana Lynn, daughter Savannah and son Dradon. He is employed with ATB Financial as a Consumer lender for ATB staff members province wide.